Always a favourite amongst kids and adults, pizza and pasta can readily be found at many restaurants often as takeaway items and at more sophisticated places to dine. Just ask a local - they'll recommend a good Italian or International eatery! 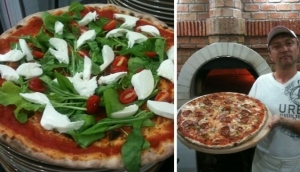 Fun foods and readily enjoyed, pizza and pasta can be eaten as it has been traditionally prepared or in a modern contemporary way with an influx of unique ingredients. Savour dishes from spaghetti bolognaise or a vodka and prawn-based pasta and pepperoni pizza to one with seafood and Thai chillies.